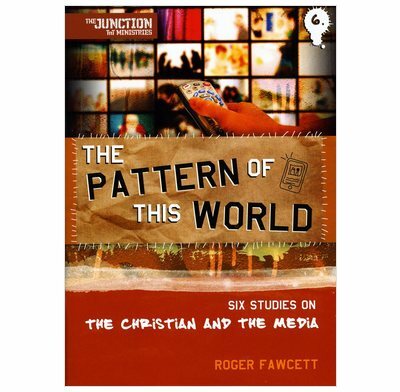 Bible studies for youth groups on how to relate to the media as Christians. If your youth group is in the 14-18 age bracket they are at a junction - a vital point in their lives where they need help to study the Bible in a way that is challenging and mind stretching. With the TnT Junction material you can be confident that you have material that is trustworthy, comprehensible and biblical. Each lesson plan, in addition to a lesson aim, contains study notes to enable the leader to understand the Bible passage. There is also a slot to encourage the young people to share experiences and learn from each other. Along with suggestions for prayer, praise and how to focus attention on the studies, there are optional worksheets to help the young people engage with the passage. Additional advice and tips are given to youth leaders to help make running a youth Bible study memorable and effective. These studies have been written in response to requests from leaders and young people. Though the Bible does not mention our modern technologies and challenges, it still has much to say that can be applied to those situations. These studies focus on six Bible passages that challenge us to live for Jesus in different areas of our lives. They also highlight the importance of thinking through every aspect of our lives, especially where we encounter 'The Media'. With the TnT Junction material you can be confident that you have material that is trustworthy, comprehensible and biblical. Each lesson plan, in addition to a lesson aim, contains study notes to enable the leader to understand the Bible passage. There is also a slot to encourage the young people to share experiences and learn from each other. Along with suggestions for prayer, praise and how to focus attention on the studies there are optional worksheets to help the young people engage with the passage. Additional advice and tips are given to youth leaders to help make running a youth Bible study memorable and effective, with the minimal of cringe!